A dazzling home interior doesn't need to cost a lot of money. Like many of the arts, a good home design uses classic aesthetic rules that are completely independent of the commercial world. These can easily be followed no matter how large your bank account. 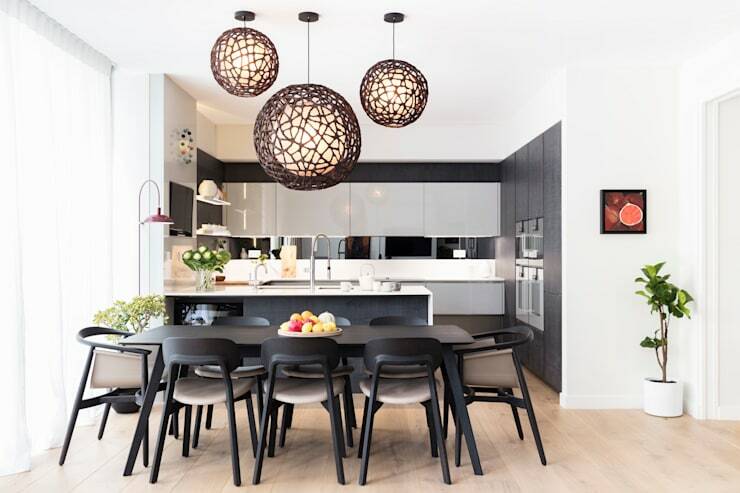 The trick is to work out which tricks are most commonly used by the best interior designers and decorators, then figure out how to execute them with the humble materials at your disposal. So today, we present a few key cool decorating ideas used by the best designers. Most of them are easy to recreate on your own with very little effort. Let's check them out! 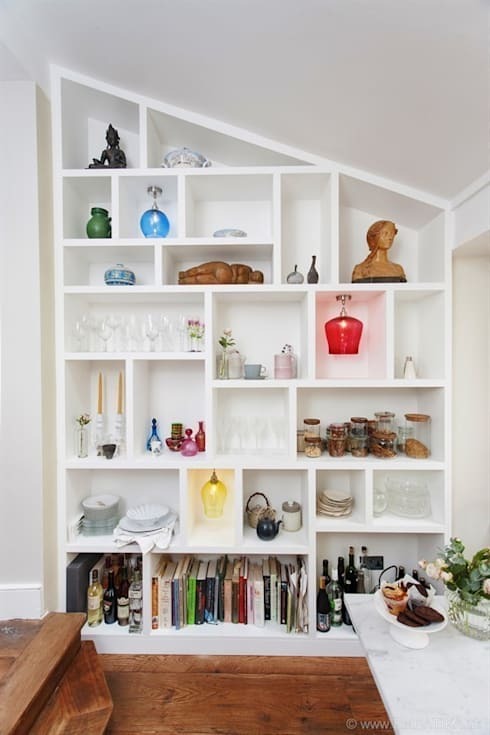 If you have a bookshelf or display cabinet, this is an excellent place to start. Cluster your books in sections or try colour coding them. Even the cheapest colourful ceramic vase will look fantastic if it's really big. Then arrange your decorative pieces to create a series of bold shapes. The key is to use scale and colour to create interest and variety—without making things look cluttered. Houseplants are a valuable tool at your disposal. Don't just relegate them to the usual spots around the home. Think big to create scale. 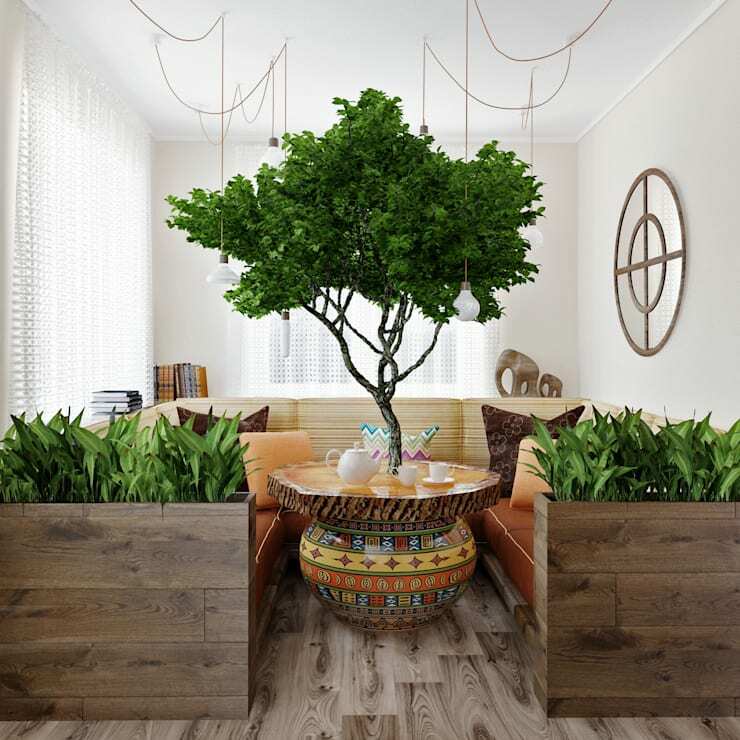 If you don't have the funds for a small tree, consider placing the largest plant you have on a table. This could work well if the table is hidden behind another object like a sofa. The most important thing is to create the feeling of foliage above eye level. Three is the magic number when it comes to design. Arrange the cheapest art prints on the wall in a cluster of three and you have a triptych that usually looks pretty good. The same goes for pendant lights. They are a fantastic way to make the simplest little dining table look like a proper dining area. LED strip lights are more of a commercial material than a design rule, but they really do deserve to be included. They pack a lot of decorative punch for a very attractive price. This bathroom design shows how it's done. In days gone by even the simplest peasant had a home with the kind of warm appeal that's often lacking in modern homes. The key? Low, golden atmospheric lights. Just get a couple of tea candles and upcycle some old bowls or cheap accessories to make this one work. Budget-conscious home decorators generally have to pick and choose where to spend their money. 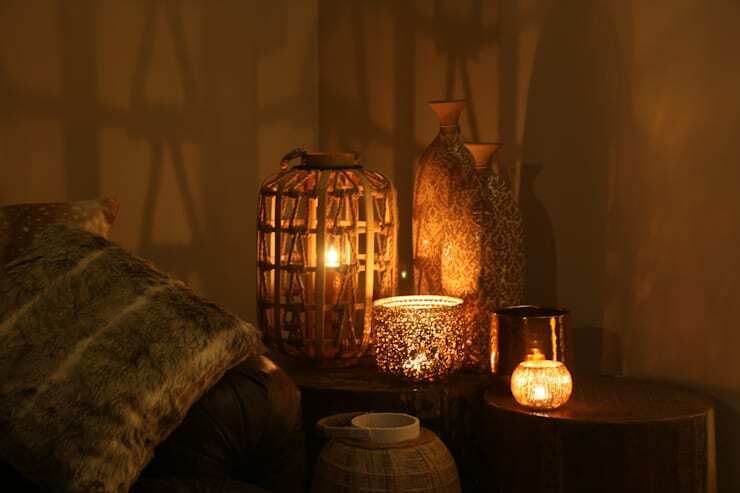 So make the most of your favourite parts in the home by throwing them into focus with lights. This is where your LED lights will come in handy. 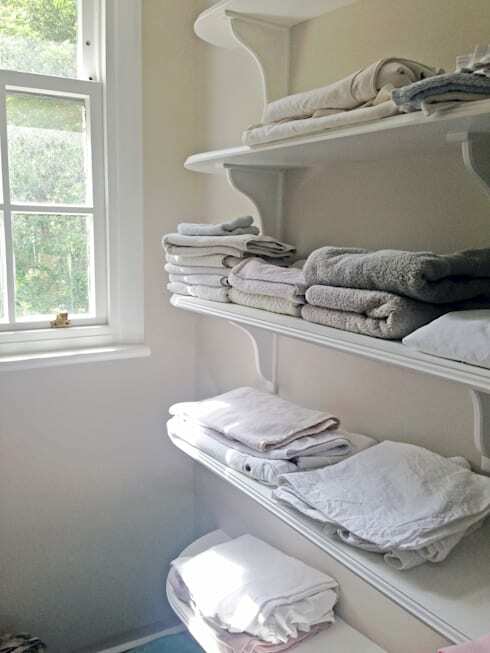 We love this little view of a country-style laundry because there's nothing fancy about it, but it definitely has that 'designed' look. The secret is the extremely limited colour palette. What makes this different from an all-white interior is the subtle shades of grey. 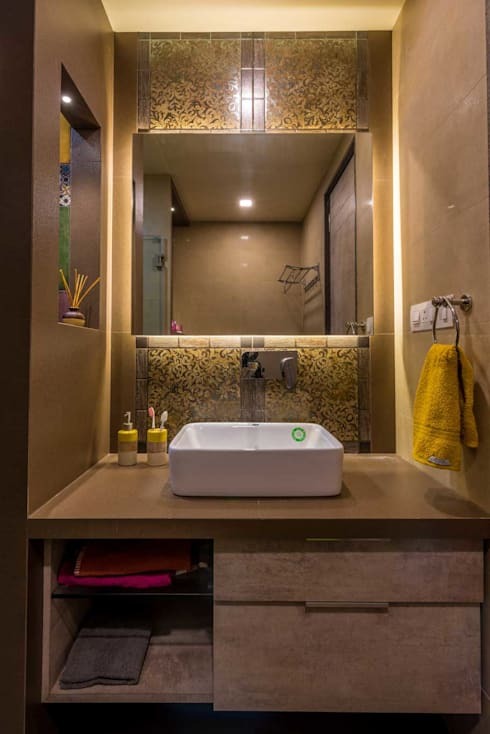 Mirrors are mere objects to reflect other elements in the home. So there's no need to worry about investing in a fancy mirror. Just get something cheap and unframed and set it up to reflect some beautiful greenery. This will double the appeal of your houseplants. 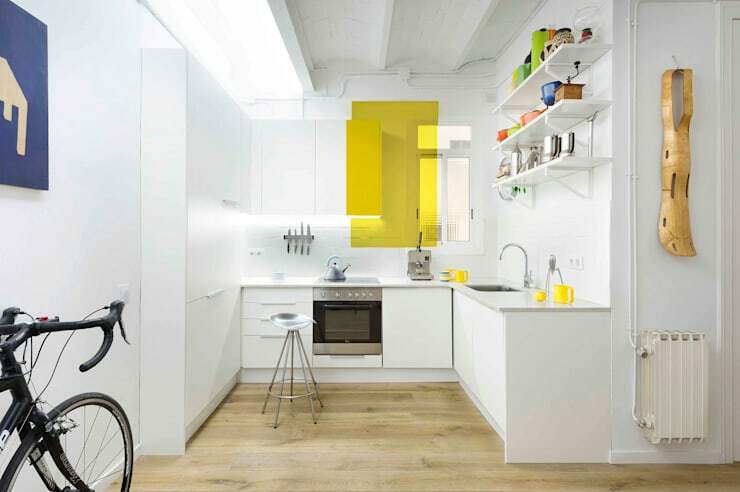 You don't necessarily need to invest in a lot of paint to create a fresh look in the home. If you have white walls, perhaps you could make a statement with a feature wall or even an adventurous paint feature like this. 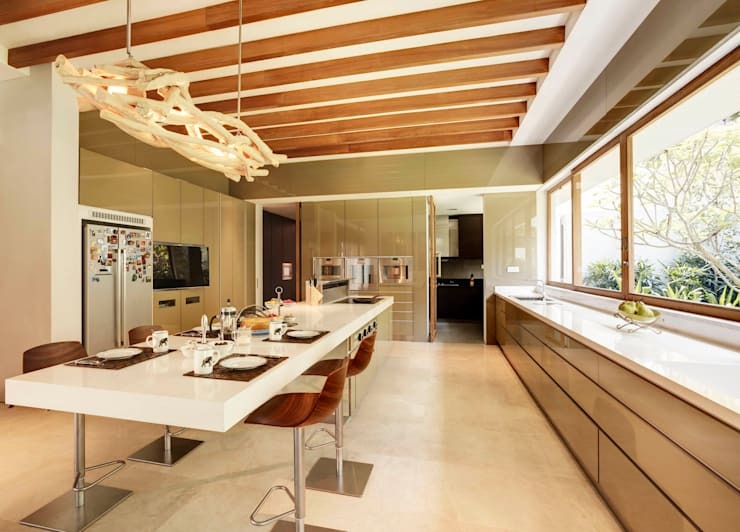 We know this lovely Singaporean kitchen is a bit glitzy, but it's the perfect illustration of how effective clean lines can be in a design. Look at the room and note the main lines of sight, then remove or rearrange anything that interrupts your line of sight. Next, let's have a look at 7 brilliant ways fabric can improve a home. Which of these ideas has you intrigued?